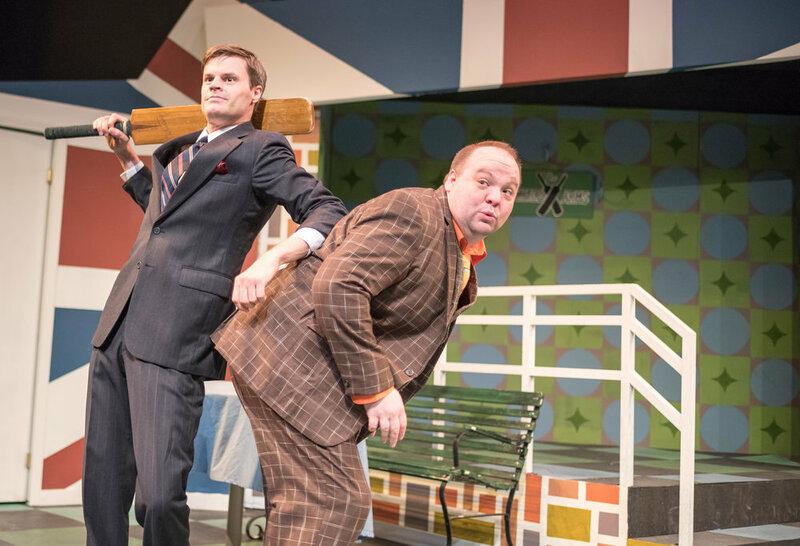 One Man, Two Guvnors Extended through May 21st! Students, seniors 60 & up and groups of 10 or more receive $3 off these prices. 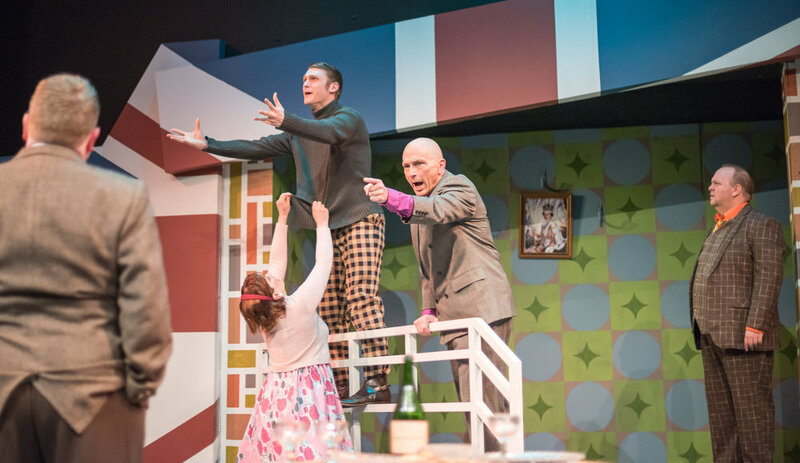 Winner of the Critics Circle Award and multiple Tony and Drama Desk Awards, this glorious comedy is a unique laugh-out-loud mix of satire, schtick and stupendous physical comedy. 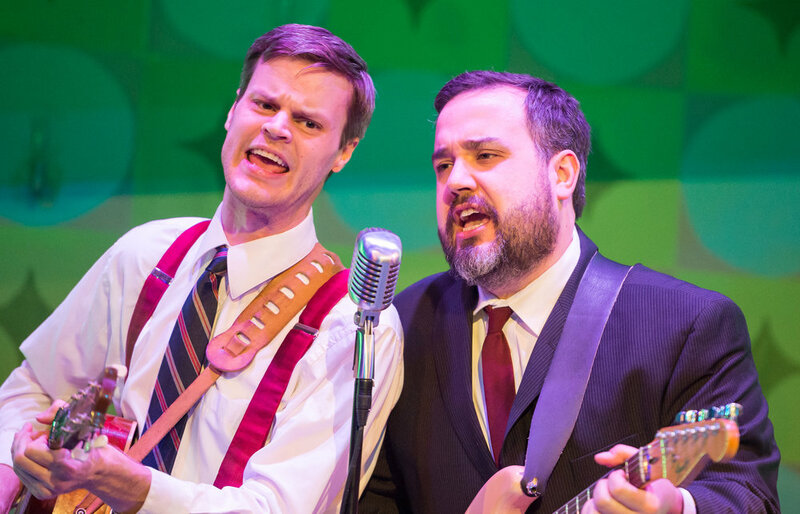 In the heart of 1960’s England, charming and doltish Francis, fired from his pop band, unexpectedly finds himself with two new jobs and two new bosses, who are connected to each other in wildly improbable ways. 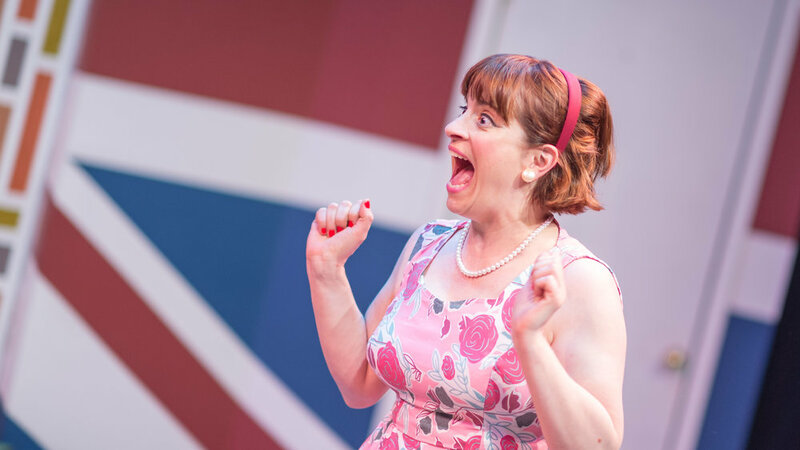 Mistaken identities, outrageous farce, love triangles and inspired lunacy ensue! 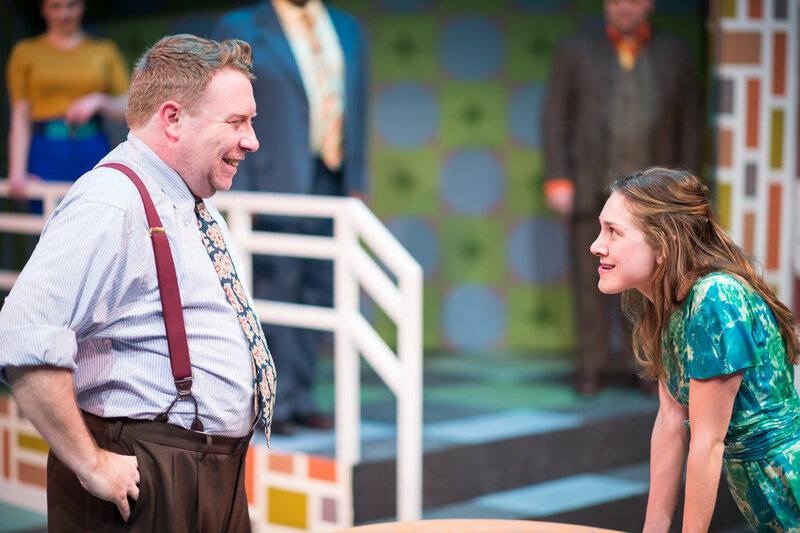 This splendidly silly new play has been hailed as “comic perfection!” Featuring Four Humors Theater's Jason Ballweber (a.k.a. “Ham" from A Hunting Shack Christmas)! * Member of Actor's Equity Association, the Union of Professional Actors and Stage Managers in the United States. Box Office Hours: 11:30-4 Monday-Friday and 1 hour prior to performances.